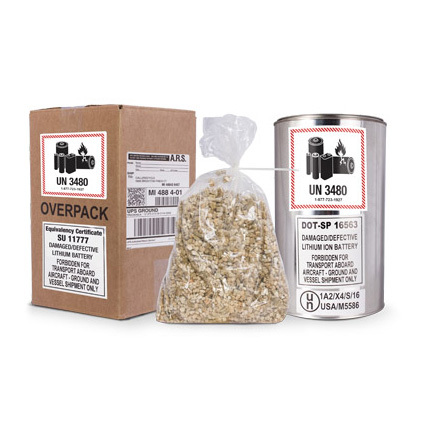 Designed for safe and proper transport of damaged, defective or recalled batteries. 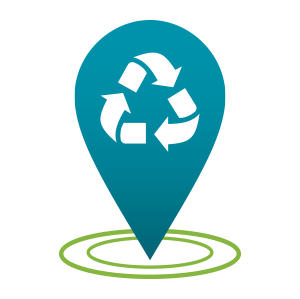 Call2Recycle has a special permit from the US Department of Transportation (US DOT) for this box and fully complies with their requirements on the transportation of hazardous materials. A Certificate of Recycling is available upon request. Available in the contiguous U.S. only. Not available in Alaska, Hawaii, or other territories. Inner dimensions 6.5″ diameter x 10.75″ length. This container can hold up to 4.4 pounds of lithium batteries. Damaged, defective or recalled lithium batteries. 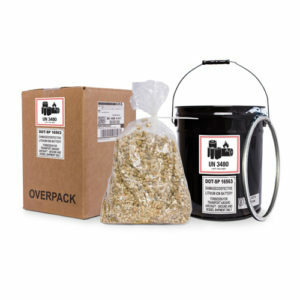 Overpack box, metal can, metal lid, plastic locking ring, bag of vermiculite, baggies, special permit label, caution label, tape strip, pre-paid return shipping label and instructions. Not sure which options are best for you? Get our recommendation using our shipping guide. 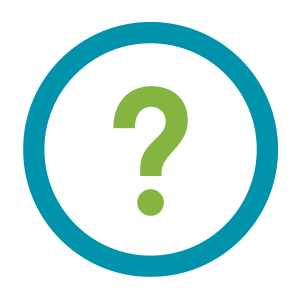 Have questions about starting a recycling program, purchasing supplies or bulk shipping?